That doesn't really belong in this thread. In 0.971 that option controls emissive textures on spacecraft. 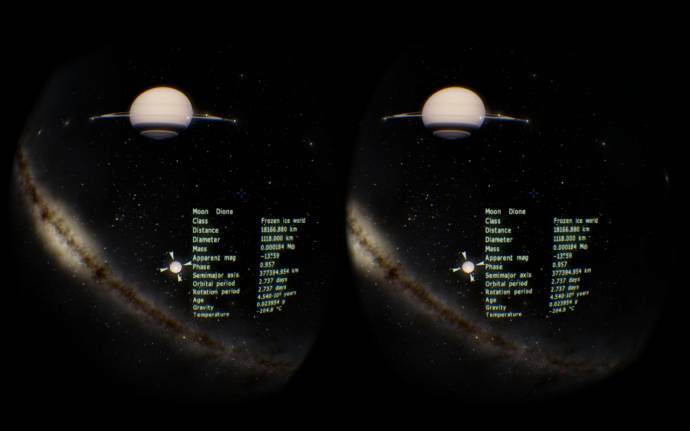 In Oculus Rift mode, information about selected object is displayed next to it, like label. It could be used in normal rendering mode, but I'm not sure it would be useful. It is important in Rift because it become a part of the scene, not a fixed onscreen overlay, so you can read all data. I now want to buy an oculus. Is ti really that awesome? 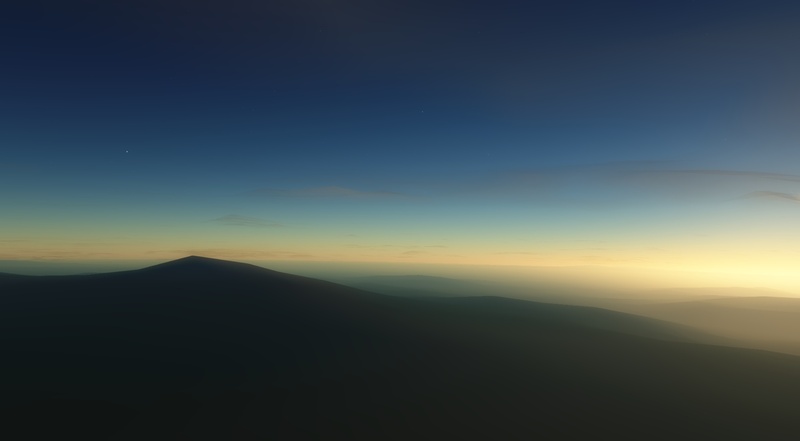 how you would rate the experience of 3D space engine Vladimir? surely awesome right? That oculus rift feature reminded me of an idea I had to contribute, involving overhauling the wiki screen (in normal mode), so that it isn't contained in an inteface box, but instead, acts kind of like the planet comparison feature you made. It shows the body in the main screen (floating in front of you), and beside it, its essential information, with arrows at the top or bottom to flip through the different categories of information. That is amazing, SpaceEngineer! Will the same happen in Anaglyph mode? I need a decision about default textures pack. Earth is a planet with a most massive textures, because its surface is RGBA textures (color + specular in alpha), which could be saved only in PNG file format (JPG doesdn't support alpha channel), but PNG have low compression level (because it is lossless). So in each version Earth takes a significant part of the distribution size, compared to other planets with the same resolution. In 0.971, Earth was 125 Mb of 1 Gb total, with 16k resolution, and a low-quality elevation map (JPG). In 0.972 it will have ~380 Mb size at the same resolution, because I want to use a 16 bit PNG for elevation map to get rid of artefacts. Earth also now have the underwater landscape, so overall compression level is much lower than in 0.971, where 70% of Earth's surface was covered by uniform blue color and zero altitude. And Earth now have additional layer - city lights (so total 4 layers now: surface map, elevation (bump) map, city lights, and clouds map). I have experimented with two texture tile size: 258*258 and 514*514. The first showing better loading performance and lower memory consumption, but number of the tile files is almost 4 times bigger (81912 vs 327675). I've implemented a packed file system to hide this swarm of files into a few large archives. But SE loading time is increased due to need of reading a huge list of files. 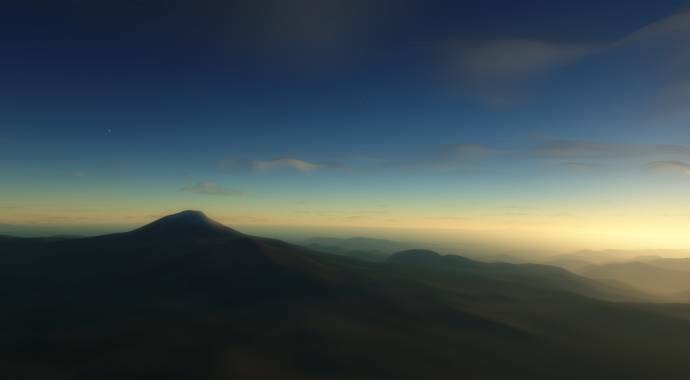 Full texture packs for Earth (128k resolution) in both case are ~11 Gb in size, reduced 16k resolution packs are ~380 Mb. I want to fit the 0.972 distribution into 1-1.5 Gb size, the rest texture levels will be released as HD addon (15-20 Gb now!). So, I have made many experiments and ended up with this numbers (here I also used a clouds color map as a bump map for themselves). Green lines indicates pros, red lines indicates cons. From these numbers, I think the priority left for 258x258 tiles. So this will be a new standard, all other planetary maps (default and addons) will be converted into this resolution. Also, in the SE distribution I will include a maps in a JPG format where it will be possible (Moon, Mars, icy moons etc). Lossless PNG maps will be available as addons, like always. 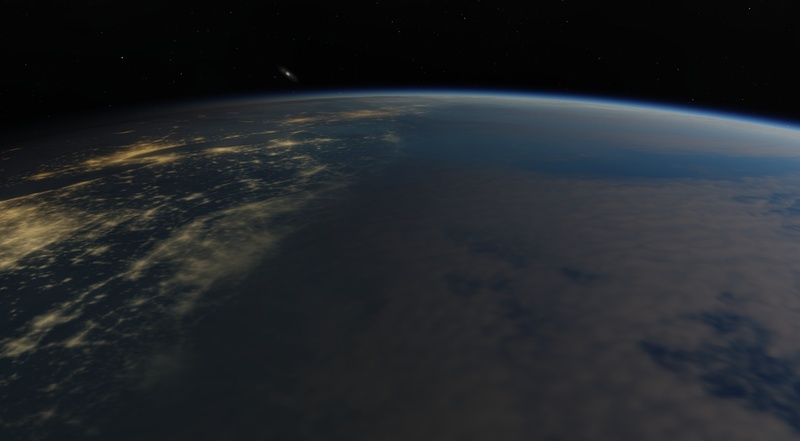 Another decision should be taken about default Earth resolution. 16k is a relatively good resolution, but 380 Mb may be too much (I will make Mercury, Moon and Mars elevation maps in 16-bit PNG also, I don't know now how much size they will be). 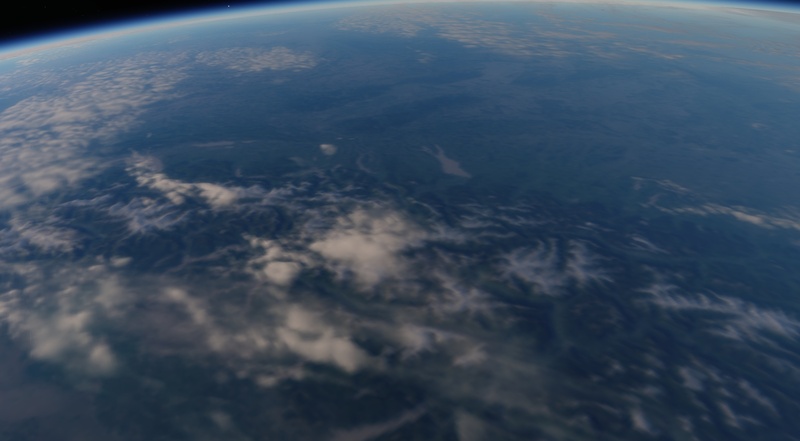 Maybe reduce Earth resolution to 8k? It would be ~100 Mb then. Should other planets be reduced to 8k too in this case? Or should I keep the better resolution if planet could be fit into 100 Mb size? (Like Moon and Mars which will have JPG surface). It is also possible to make some maps on the same planet with better resolution than other. Earth's PNG light map at 32k res is just 27 Mb (in JPG it will be even more small). Mars' JPG surface at 32k res is just 60 Mb. SpaceEngine supports different resolution of a texture layers if they differs up to 4 times. Screenshots for comparition of the different texture resolution. Open them into new tabs and switch between tabs to compare. IMO: 16k across the board, even for earth, and keep the larger download. At the end of the day it'll look better and the tradeoff is to wait a few seconds to a few minutes longer to see it. 128k looks amazing... but I can see the issue with download times and memory usage. Just... release two versions? I think 258x258 tiles seems more reasonable because of the performance. Or should I keep the better resolution if planet could be fit into 100 Mb size? Maybe you could use a RGB JPG and another grayscale RGB for the specular map? I would say if it mainly tackle the startup time than use a higher resolution but if the "game" starts to lag than use a lower one. My personal opinion is that higher resolution of the planets is more important than keeping file size low. If it takes a couple hundred more megabytes to give Earth a pretty look then so be it. I'll admit that I may have an unfair opinion since with my computer, performance and file-size is a non-issue. I don't care a lot about Earth. Can you tell us more about performance with each type of texture ? 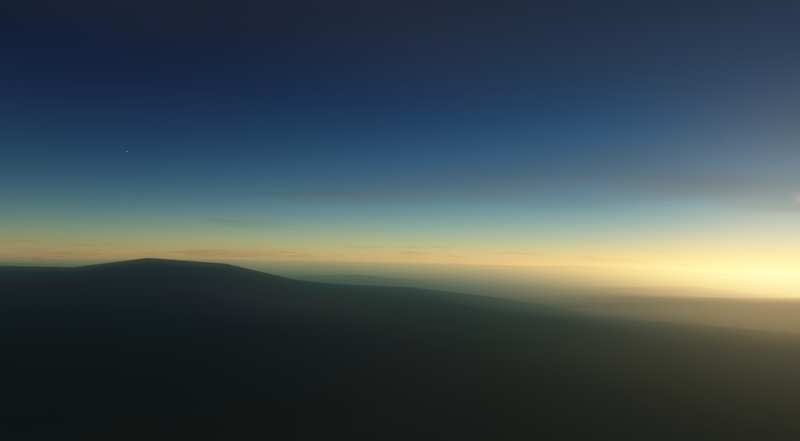 How long does it take to display a random landscape on a random planet, for example, with a strong and a weak computer ? I would prefer 16k over 8k, because hard disk space is not a problem for most people I think (especially within the scope of a few hundreds of megabytes). Of course the download time would increase, but still, I think it is not a big deal for most of the people. If you have a very bad connection, downloading over 1gb takes long anyway. And the performance wouldn't increase that much anyway, if you would be using 8k textures, I guess? I think the better looks are worth it, especially compared to the space view of the planet with 8k textures. Is x128 the resolution of Earth now or is it an upcomming feature? I think 8 is enough , but other 16k and 128k packages should be downloadable .